Ground-state orderings in icosahedral Ag-Au nanoparticles. 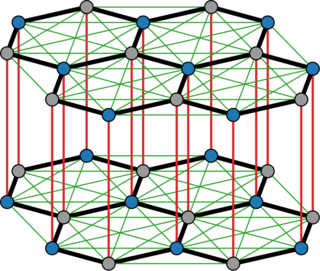 Structures at every concentration of a 309-atom Mackay icosahedron, obtained using exact solution of a cluster expansion model. High-Throughput Computational Assessment of Previously Synthesized Semiconductors for Photovoltaic and Photoelectrochemical Devices. GPAW calculations for 1 and 2 component systems from OQMD database. For convex-hull calculations. Sulfide perovskites for solar energy conversion applications: computational screening and synthesis of the selected compound LaYS3. 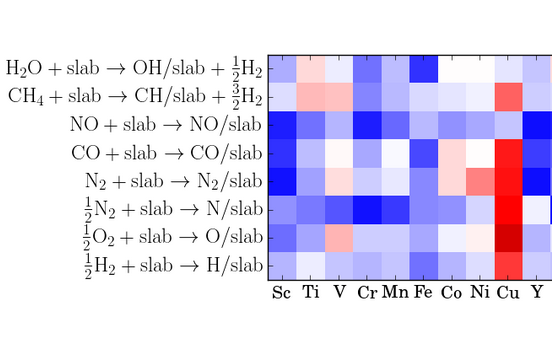 Adsorption energies of 200 reactions involving 8 different adsorbates on 25 different surfaces at full coverage employing different DFT XC functionals as well as many-body perturbation theory within the random phase approximation. 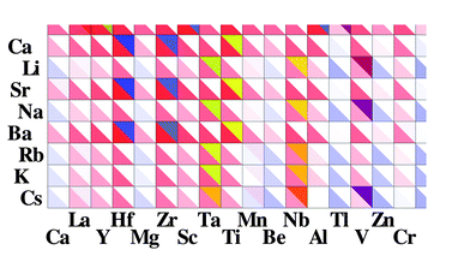 Surface energies of the 25 transition metals are compared as well. 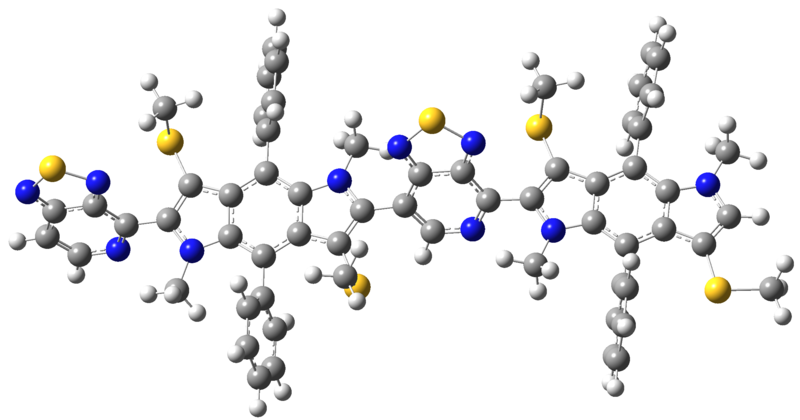 This database contains the Kohn-Sham (B3LYP) HOMO, LUMO, HOMO-LUMO gap, singlet-triplet gap of organic donor-acceptor molecules. The database also contains tight-binding extrapolated HOMO-LUMO gap for polymers and Voc for PCBM blended solar cell with the corresponding molecule. Database contains chalcopyrite, kesterite, and wurtzite polymorphs of II–IV–V2 and III–III–V2 materials investigated for light absorption in the visible range. 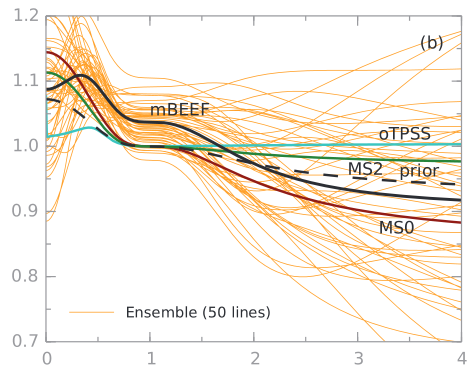 The data set includes stability information, band gaps, and carrier effective masses. 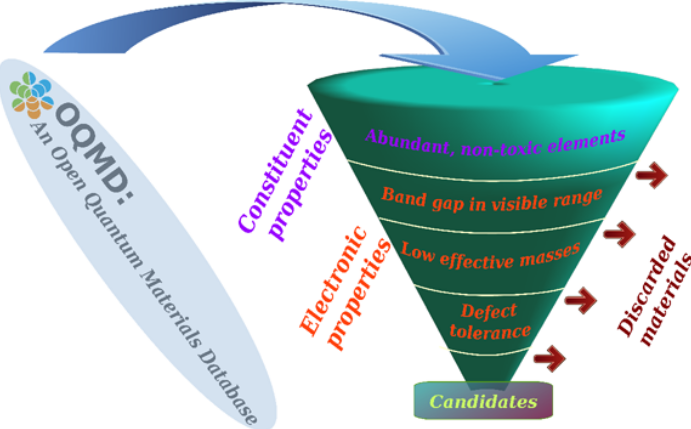 The database contains structural, thermodynamic, elastic, electronic, magnetic, and optical properties of around 2000 two-dimensional materials distributed over more than 30 different crystal structures. The properties are calculated by DFT and many-body perturbation theory (G0W0 and the Bethe-Salpeter Equation for around 250 materials). Structural and electronic properties calculated with different DFT XC functionals and G0W0 of a large range of 2D materials. At the moment the database contains 216 transition-metal oxides and chalcocogenides. The dielectric building blocks of 51 transition metal dichalcogenides, hexagonal boron nitride, and graphene is available from this database. 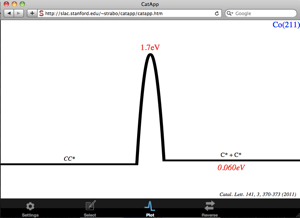 The results are used to calculate the dielectric function of van der Waals heterostructures, using the Quantum Electrostratic Heterostructure (QEH) model. 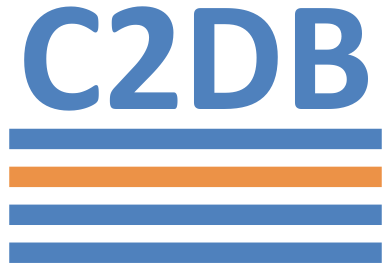 We have performed electronic structure calculations of 240 perovskites composed of Cs, CH3NH3, and HC(NH2)2 as A-cation, Sn and Pb as B-ion, and a combination of Cl, Br, and I as anions. 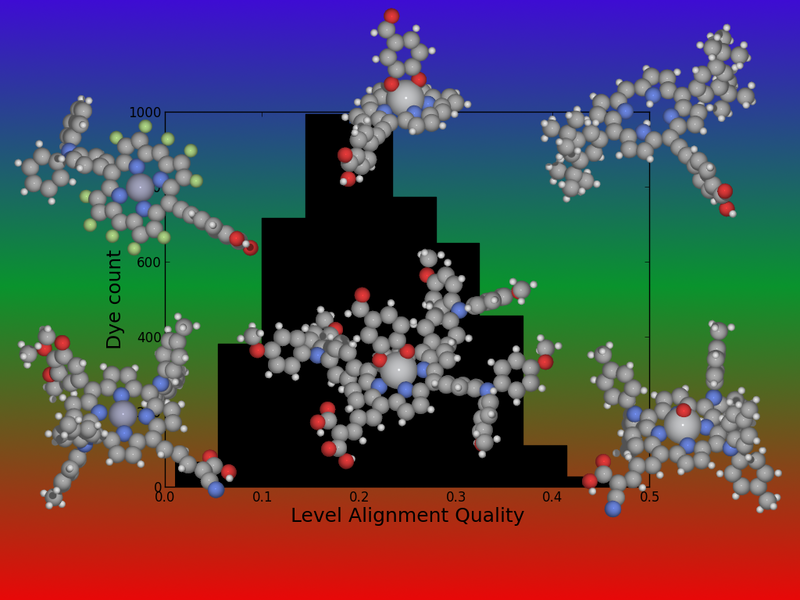 We present a computational screening study of more than 12,000 porphyrin-based dyes obtained by modifying the porphyrin backbone (metal center and axial ligands), substituting hydrogen by fluorine, and adding different side and anchoring groups. 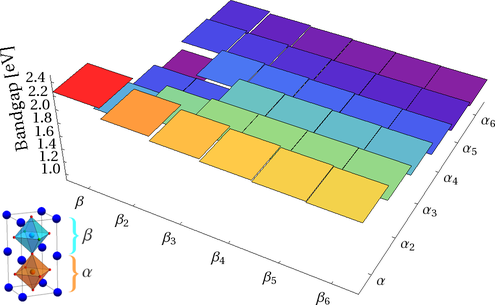 Electronic bandgap calculations are presented for 2400 experimentally known materials from the Materials Project database and the bandgaps, obtained with different types of functionals within density functional theory and (partial) self-consistent GW approximation, are compared for 20 randomly chosen compounds forming an unconventional set of ternary and quaternary materials. 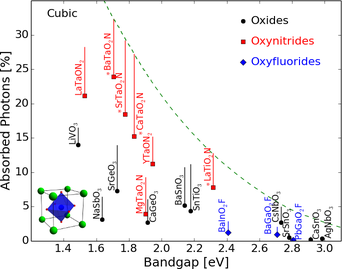 We perform computational screening of around 19 000 oxides, oxynitrides, oxysulfides, oxyfluorides, and oxyfluoronitrides in the cubic perovskite structure with photoelectrochemical cell applications in mind. 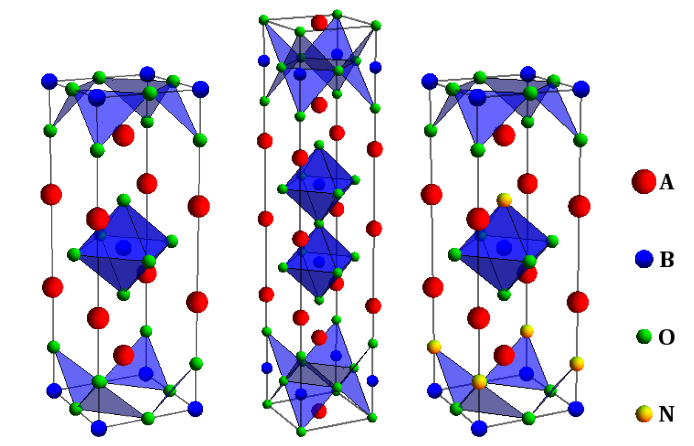 We have used density functional theory (DFT) calculations to investigate 300 oxides and oxynitrides in the Ruddlesden–Popper phase of the layered perovskite structure. 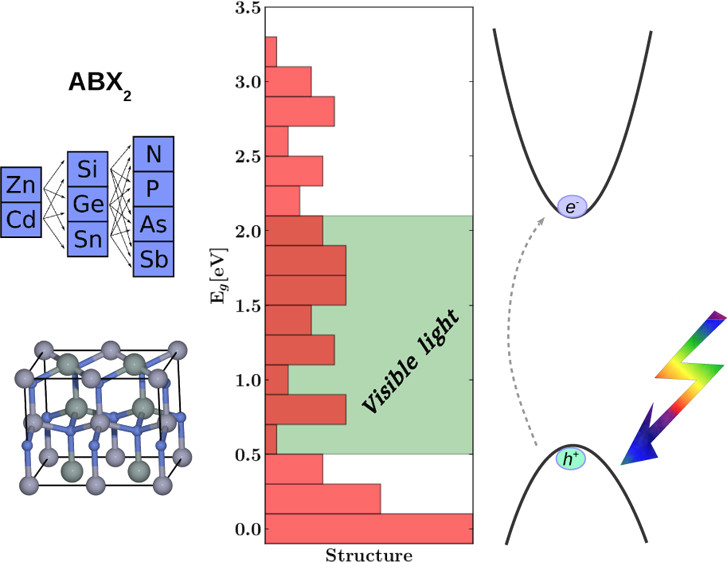 We calculate the optical properties of a set of oxides, oxynitrides, and organometal halide cubic and layered perovskites with a bandgap in the visible part of the solar spectrum. 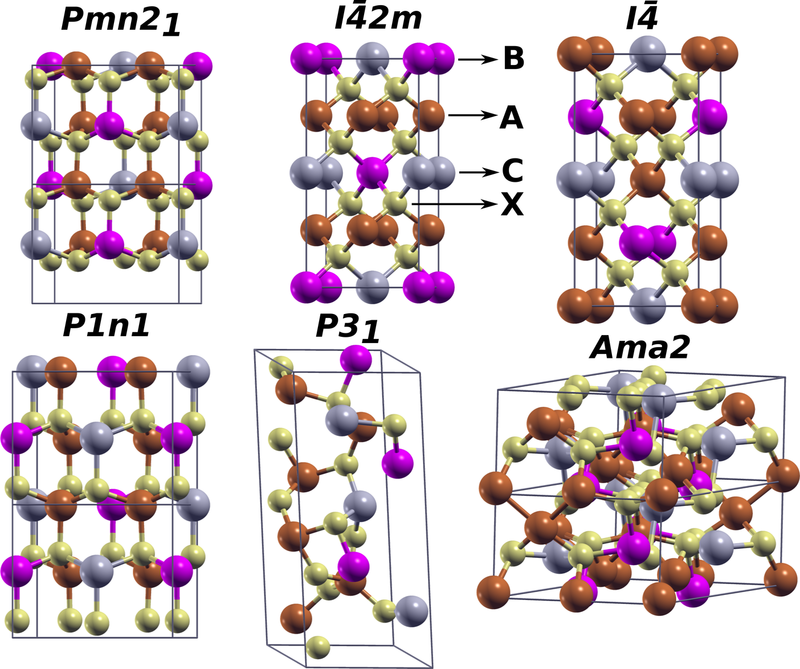 We investigate the band gaps and optical spectra of functional perovskites composed of layers of the two cubic perovskite semiconductors BaSnO3-BaTaO2N and LaAlO3-LaTiO2N. 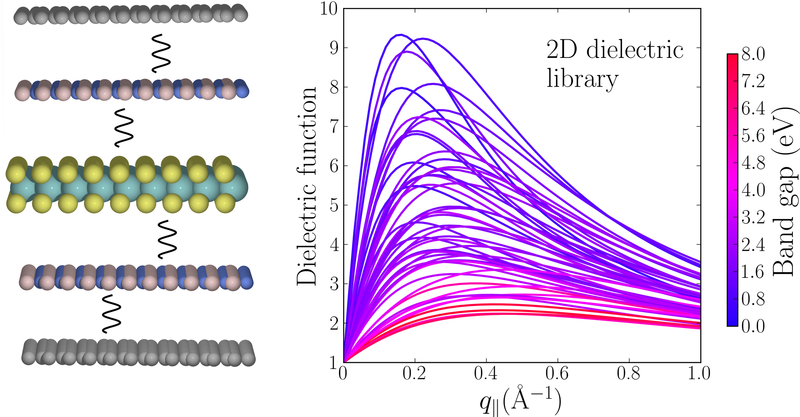 Surfaces energies of 25 surfaces employing different DFT XC functionals as well as many-body perturbation theory within the random phase approximation. 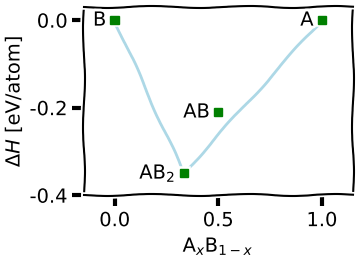 We present a general-purpose meta-generalized gradient approximation (MGGA) exchange-correlation functional generated within the Bayesian error estimation functional framework. Benchmark: codes precision measured using the database of bulk systems from http://molmod.ugent.be/DeltaCodesDFT. 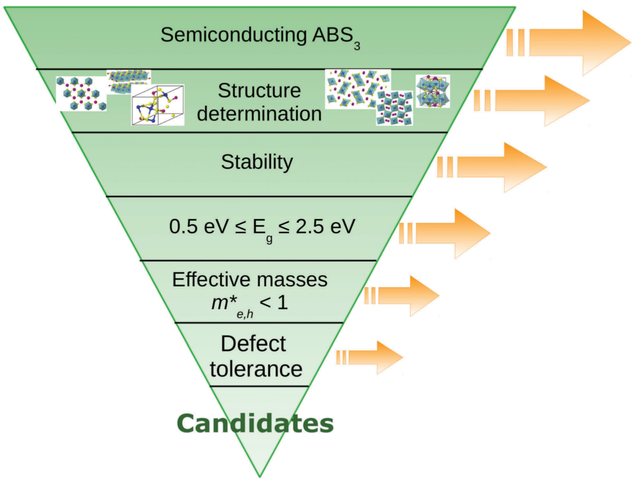 Benchmark: the performance of semilocal and hybrid density functionals in 3d transition-metal chemistry (reproducing published results). 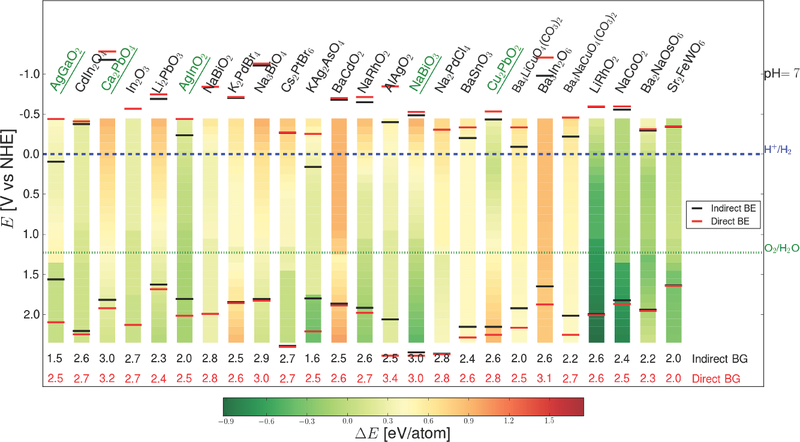 Benchmark: adsorption energy of atomic oxygen and carbon on fcc111. Benchmark: compression energies of bulk fcc and rocksalt. Benchmark: Pseudopotentials for high-throughput DFT calculations (reproducing published results). Benchmark: PBE atomization energies and structures of the G2/97 set of molecules. All CMR databases are licensed under a Creative Commons Attribution-ShareAlike 4.0 International License. © Copyright 2014-2019, CAMd. Last updated on Sun, 21 Apr 2019 06:23:46. Created using Sphinx 1.7.5.